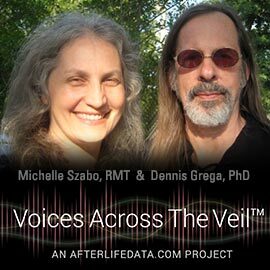 AfterlifeData.com, the largest database of afterlife description and analysis on the Internet, is expanding its life after death research with a new project called Voices Across The Veil. The project expands upon the research already presented on AfterlifeData.com in a new and exciting way - by providing on-line, small-group sessions (6-10 people) with world-class mediums. Participants are given the opportunity to personally experience communication from loved ones at a more affordable cost. The results of this ongoing program will be compared with historical writings, aggregated and presented on AfterlifeData.com, on sites of participating mediums, as well as in papers, journals and conferences focused upon Life After Death research. Do people really talk to the dead? What is the afterlife really like? How consistent is life after death information cross-culturally? 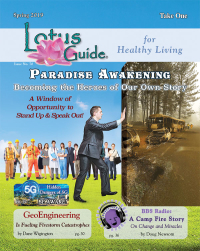 What effects do mediumistic communications have upon people's beliefs? Categorize and classify the evidential nature of mediumistic communications. Correlate with the data already presented on AfterlifeData.com across 265 life after death topics. Provide a setting where people can explore quality mediumistic communication and be able to report back on these experiences for everyone's benefit. Dr. Grega is a research psychologist and has combined this training with computer technology to develop numerous software applications over the past 30 years. Having worked for NYU Medical Center during and after his doctoral work, he brought his experience to Ogilvy & Mather heading a consumer research group. Later, Dennis owned a business developing database intensive commercial software for client server applications and over the last 15 years for the web. His interest in the esoteric has been a lifelong study and brought him to co-creating AfterlifeData.com and VoicesAcrossTheVeil.com. In his free time, between trips to Saturn and Jupiter, he enjoys playing guitar and drums. Michelle is a Reiki Master Teacher and ordained priest, who has had a number of psychic experiences in her life, the most notable of which have been over the past 4 years. Her interest in esoteric subjects started about 25 years ago and continues to expand every day. As a co-creator of AfterlifeData.com and VoicesAcrossTheVeil.com, she heads the design and marketing initiatives of both sites. In addition, Michelle is a singer, plays a little piano and harp, has authored several books and written a number of articles, and continues to actively develop web sites and other communications materials for her clients. She is also very interested in naturopathic healthcare and herbal remedies, organic farming and natural home building.